 Hi im trying to make a list of current Promo cards. Feel free to help with the list and or give your opinion. Acid Blast Never used it, but can´t see why it shouldn't come out. Alfiya Very strong, might be too good? At least its different than most Holy books. Asto Vidato Useless - maybe not that bad, but the sbc alone..
Bloodthirsty Strike Useless like all most of the small incantation buffs you can get once/card. Blur Very good. Also giving new possibilities. Bummer for Dark School. Death´s Head Scorpion Why not? Debilitate Fun card - didn't this come out somewhere? Dragonclaw Wolverine Love it - didn't this come out somewhere? Lightning Beetle I don´t have these - but i would love to use em. Pharaoh´s Cheetah Meeh - anyone got that +8 effect to work? Screaming Zombies Nobody uses them, ethereal/sweeping/unavoidable/critical is tempting. Sherean Leviathan Really strong. Would like it to be Siren only. Staff of Storms Love that card I think its really good. Thats it - on the OCTGN Deck builder anyway. Ill try update with other promos later. You can find a list of promo cards in this file on BGG. I have not found a way yet to contribute this type of file to the Arcane Wonders website. However, it is easy to maintain it on the BGG files section under the Mage Wars Arena game page. I don't have a list of the latest promo cards published so this version probably needs another update. If anyone has a list of these promo cards with their type and card ID, I will update the file and post to this location. I'd disagree with you on a couple of those cards at least. Throw a quick melee buff onto Eligor Larington and watch your opponent struggle to decide whether to try to destroy him (and get whacked back with a buffed hit on every attack) or leave him alone (and just let him whack away). You are right about the one shot incantation buffs and Shock, though. Victorian Griffin can be very good against beastmasters which can throw out a ton of elusive creatures. It's got to be used in combination with a bunch of Guardian Angels, Temple High Guards, and the other powerful guarding holy creatures. Eligor was released in Paladin vs Siren. Thanks for the feedback. I will get a PDF version uploaded when I have the time. An update with Academy cards and promos has been posted at the BGG link above along with a PDF version. If anyone has a source list for the Academy promo cards that have been published, please share and I will update the file.